​Key Features: Deciduous atmospheric conifer; Perfect for exposed gardens; Cones, bark and young shoots all add attractive aesthetics. Supplied: Supplied in three litre containers of peat-free compost, healthy and well established, approximately 1 - 1.2m (4 feet) high, with full planting and aftercare instructions. Somewhat of a rarity in the plant kingdom, a deciduous conifer! 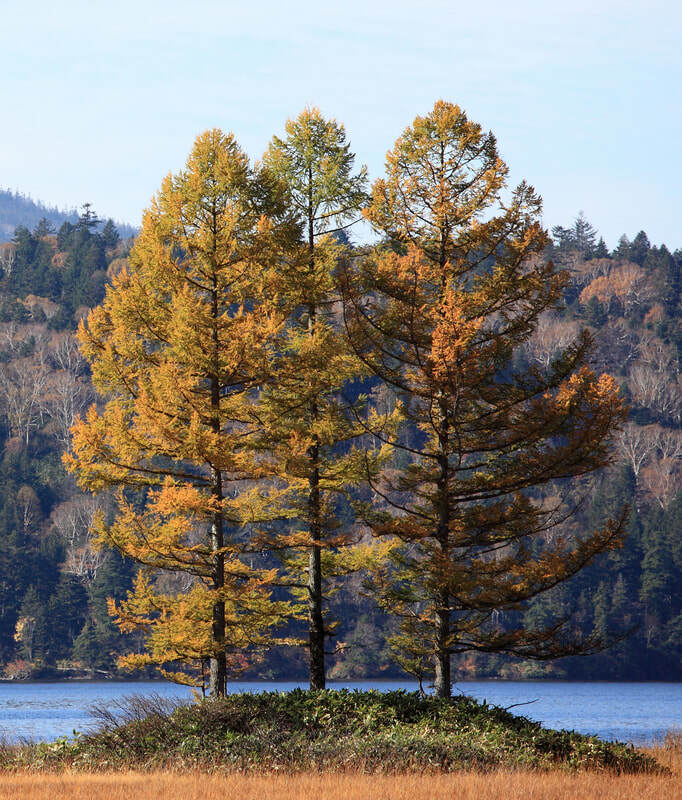 Larix kaempferi certainly has the feel of its indigenous Orient, especially in autumn and winter when unexpectedly the needle like leaves turn burnt orange and yellow before falling, leaving a stunning silhouette against the low winter sun. Introduced to Britain in the 1860's it has been widely used for afforestation and timber production, indeed larch shingles have proven an increasingly popular choice for roofing and cladding. Besides its commercial qualities the Japanese Larch has plenty of ornamental features to make it an atmospheric addition to any garden if you have a little room. You know spring has arrived whenever you see the striking bright green foliage emerge. Spherical cones, red / purple tinged shaggy bark and reddish orange shoots all add to its pleasing aesthetics. Fully hardy in the UK, Larix kaempferi is also a superb choice for exposed sites where it can prove shelter for other plants in the garden.